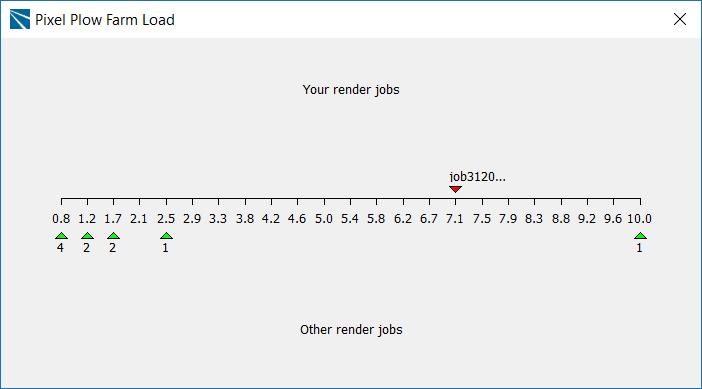 The goal here is to show how many jobs are currently rendering, and how many are at each Power level. This information is updated every few seconds, so you can have greater insight into what’s going on here. This window is a first stab at displaying this information. There may be a more graphically-attractive way to do it, but we wanted to get the information out there now. More information is better, right?